← Never drink and drive!!! I tried Bundt cake from pre-pack mix and I am so glad it turned out nice.The packet came with one pack for cake mix and one pack of cocoa mix. I am going to try the next one from scratch. 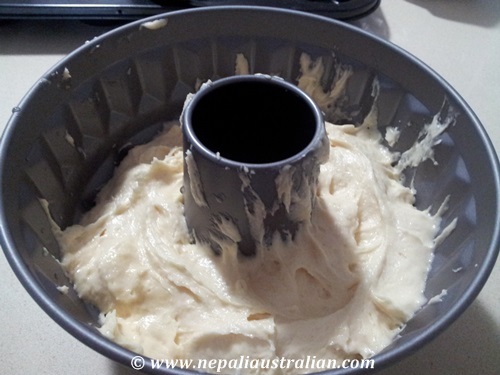 Combine the cake mix, eggs, soft margarine and 60ml milk in a large mixing bowl. 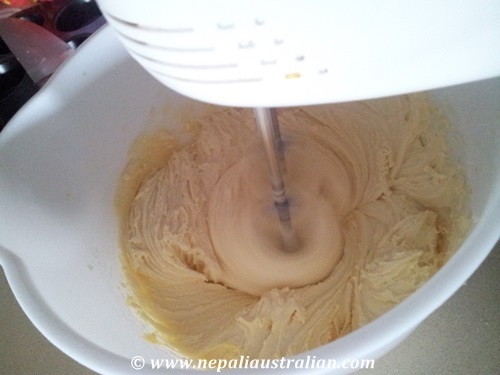 Mix with electric mixer on low speed until ingredients are combined. Increase to high speed and mix for 3 minutes until the mixture is smooth. Place2/3 of the combined batter into the tin. 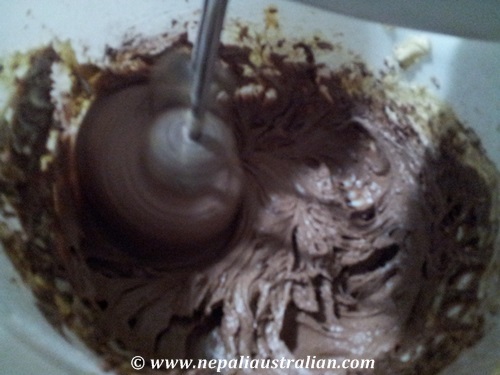 Add the cocoa mix and 10 ml milk to the remaining batter and mix it until combined. 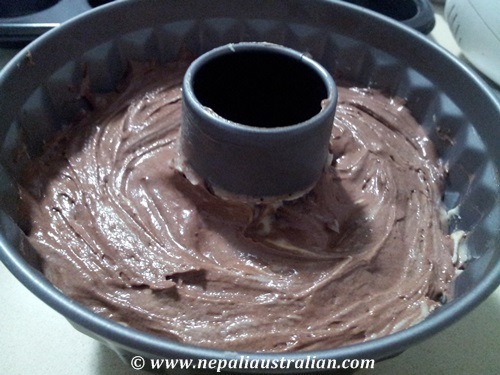 Add this on top of the batter in the tin. Pull a fork through the mixture to form a marble pattern. Bake in preheated oven for 55 minutes or until a skewer inserted in the centre comes out clean. 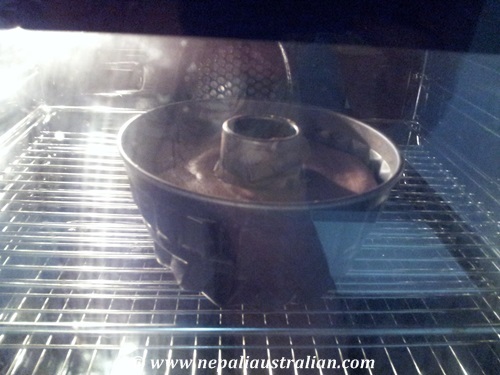 Allow to cool in the cake tin for 10 minutes before removing it from the tin. The cake is ready. 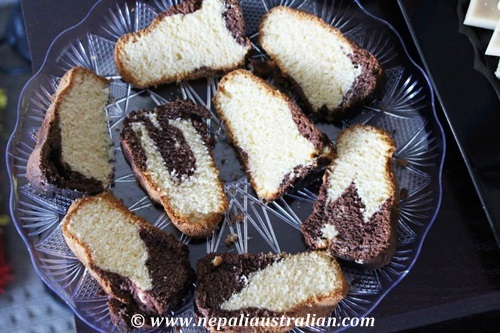 If you like, you can decorate the cake with icing sugar. 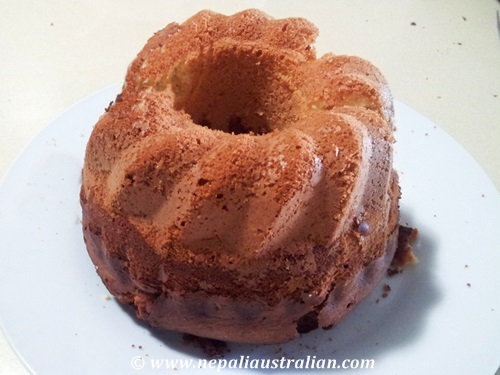 This entry was posted in Recipe and tagged australian, Bake, Baking and Confections, Bundt, Bundt cake, Cake, Chocolate, Nepali, nepali australian, Nepaliaustralian. Bookmark the permalink.